Sleeping is one of the most favorite and relaxing task of the day. We all wait for the time to go to Bed. But how we all lie on our bed can tell us a lot about our personality. Here are 7 sleeping positions, you can check about yours and yours family too. This position means that you’re nervous or tend to get stressed very easily. 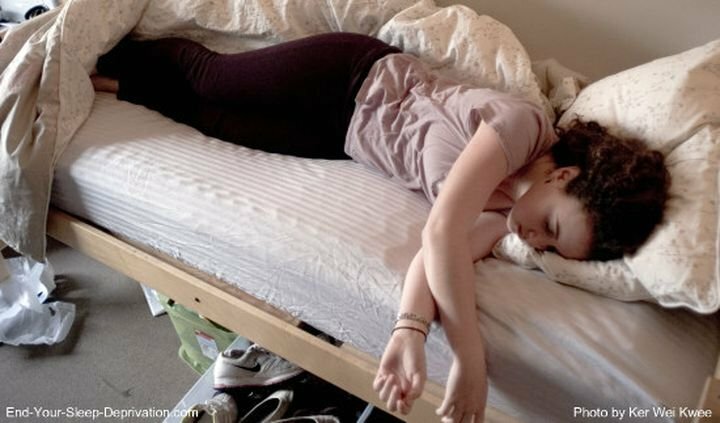 A lot of college students are fund to sleep regularly in this position. People who sleep like this should take extra time to relax and indulge in de-stressing exercises like yoga. People who sleep like this tend to be loving and sincere. But this can also signify low self-confidence and perfectionism. This is perhaps the most common sleeping position. People who sleep in the fetal position are usually very organized. But be careful, you also have a soft interior and a tough exterior and can worry unnecessarily! Lying on your stomach with your hands at a right angle is the free falling position to sleep in. People who sleep like this generally come across to be anxious and sensitive to criticism. So, if you tend to get comfortable in the free fall, make sure you try to take control of each day and deal with tasks one at a time. Sleeping on your back with hands close to your body is the soldier position. People who sleep in this position are associated with being quiet and reserved and having very high standards. This is also the best position for pain control. People who lie on their backs and sleep with their hands under their heads are called starfish sleepers. Sleepers of such kind tend to be great listeners and are very helpful. They are usually introverts and hate being the center of attention. This is another side sleeping position – sleeping on your side with your hands stretched out. People who sleep in the yearning position can be slow decision makers, and can also be cynical and stubborn. But they have a dynamic take on the day like no other. They are always excited to chase their dreams and have a very open minded outlook.